Forty years ago to the day Sheffield said farewell to the last of a long line of traditional front engine, rear entrance buses, which had plied the city's streets for many years. The last few remaining examples had been in service on Christmas Eve, 1976, and it was expected that this would be the last time such vehicles would be seen in active public service in the city. However, much to the surprise of local enthusiasts, a brief reappearance was made after Christmas, with their final day of operation being on 30th December. All were A.E.C. Regent Vs of 1960 vintage, one with Alexander bodywork, the others with Weymann bodywork. Today we are unable to use an A.E.C. to travel over the routes on which the back loaders operated forty years ago but subject to availability the South Yorkshire Transport Museum will provide former Sheffield Transport 904, 3904WE, a Leyland Titan PD3/1 with Roe bodywork, new to Sheffield in June, 1959, for our pleasure today. Departure will be from Pond Hill, Sheffield (side of the Interchange) at 1000 hours, returning for something in the order of 1530 hours. 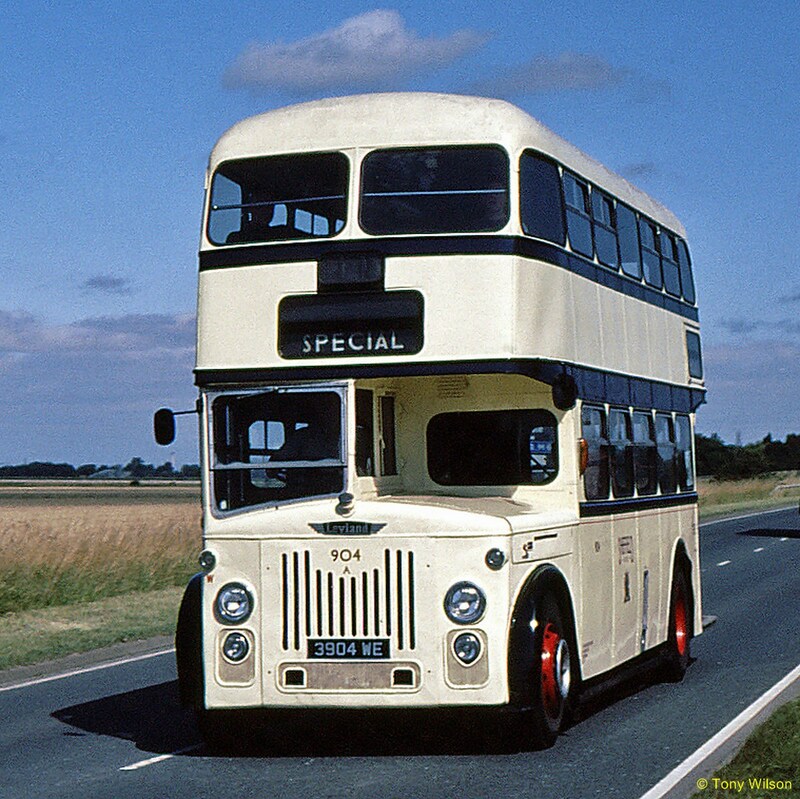 The final itinerary is still subject to confirmation but it is hoped to run on the routes of the services operated forty years ago, as close as possible to the routes of the day, subject of course to highway changes etc.. It is hoped to plan a lunch break in Sheffield city centre into the itinerary and for those who do not wish to participate in the full tour it should be possible to join/leave at other times as the tour passes through the city centre. A fare something in the order of £15.00 is anticipated, payable on the day. This time of year can give some inhospitable weather conditions and in the event of such conditions it may be necessary to cancel the tour at short notice. With this in mind it is essential to book in advance and give some sort of emergency contact - ideally a mobile phone number, such that you can be contacted at short notice if necessary. Bookings should be made with Paul Beardsley at 37, Peacock Close, Killamarsh, Sheffield, S21 1BF. Telephone 07860524879 or email beardspaul@aol.com.